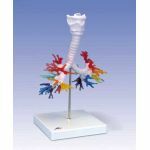 Dramatic demonstration kit that provides an impressive, unforgettable, hands-on demonstration of the texture and fragility of the mammalian lungs, as well as demonstrating that real lungs are not like rubber balloons in a bell jar. 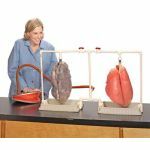 The teacher’s guide emphasizes the handling, use, and storage of the reusable swine lungs, and includes a detailed illustration of internal anatomy. 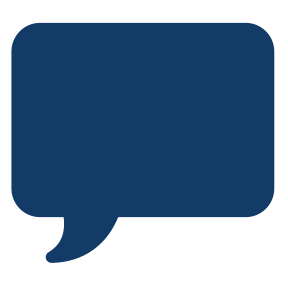 Supplemental information about lung cancer, other smoking induced diseases, and air pollutants is also included. 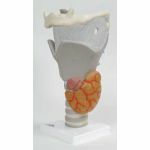 The inflatable swine lungs have been stained realistically and then specially preserved by the BioFlex odorless, nontoxic process that retains the texture and elasticity of fresh lungs. 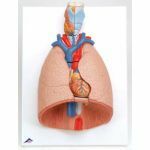 The lungs dramatically and unforgettably demonstrate the effects of prolonged smoking. A palpable simulated internal tumor and a physical simulated external tumor encourage students to feel the texture of the lungs, and to remember that smoking is a known cause of lung cancer. 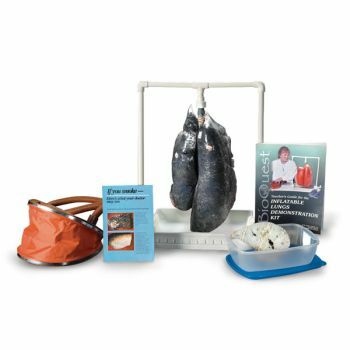 Includes a teacher’s guide; a pamphlet, If You Smoke… Here’s What Your Doctor May See; an inflation rack and tray; air pump; a dried section of unstained lung; and a pair of Simulated Smoker’s Lungs. 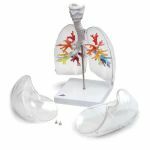 The Simulated Smoker’s Lungs can be used with the Inflatable Lungs Kit (LS03765U). NOTE: this product contains natural tissue (color may vary).